55cm Fits 1.42 to 1.61m & 65cm Fits 1.62 to 1.79m. 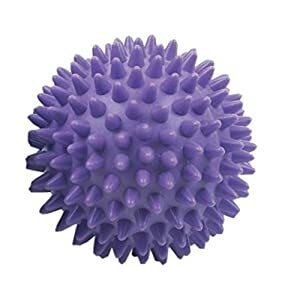 Made from high quality PVC; these large, durable, anti burst Proworks Swiss sports balls are available in silver, purple or pink. A dual action hand or foot pump is included. 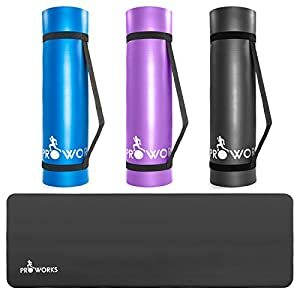 Looking for an accessory to help you exercise at home? 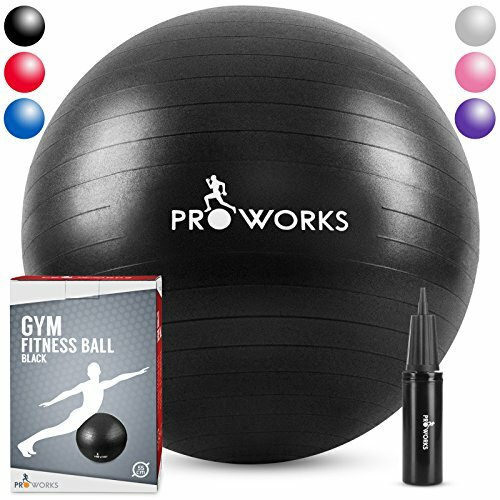 You’ve come to the right place; Proworks’ exercise ball is a durable, lightweight and exceptionally handy piece of fitness gear, designed specifically to supplement your home workout routine! 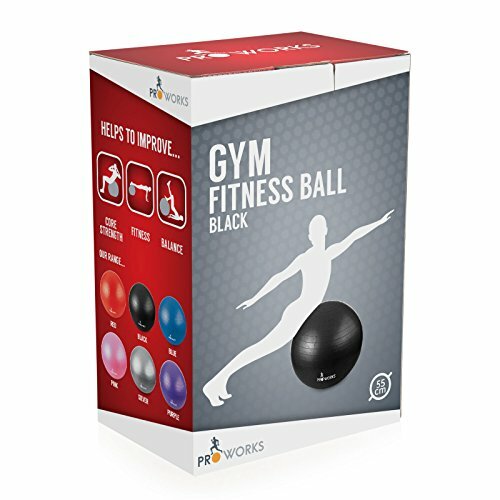 The Proworks fitness ball can be used in conjunction with many different exercises. 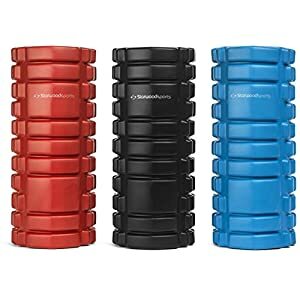 It is an invaluable tool when paired with self-resistance bodyweight exercises such as sit-ups, press-ups, leg-lifts, crunches, etc. – enabling the dedicated user to exercise their abs and core far more effectively than otherwise! 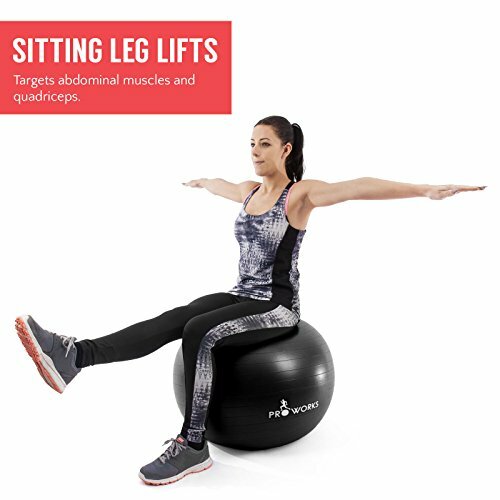 But the exercise ball can just as easily be used alongside free-weights, enabling you to improve your stability and form even as you build your strength! 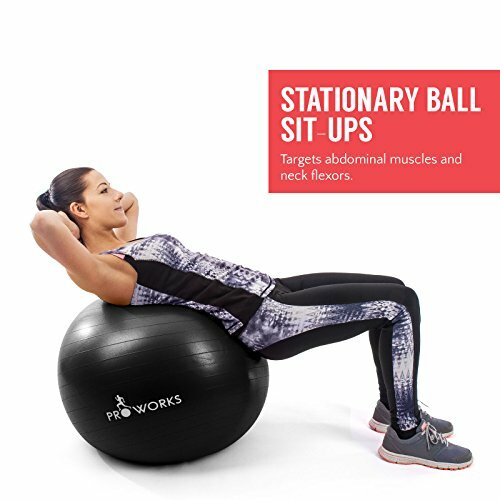 It’s not just great for working out your core, either; the Proworks stability ball is also an invaluable therapeutic aid. Those who suffer from lower back pain, poor posture or balance issues can strengthen their back muscles, improve their posture, and improve their overall range of mobility whilst exercising! 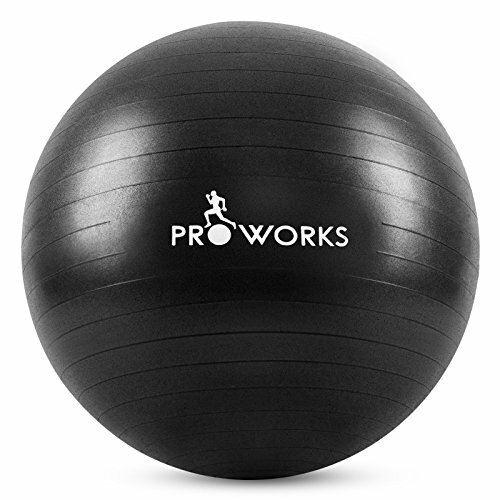 The Proworks exercise ball is an extremely rugged and hard-wearing accessory. 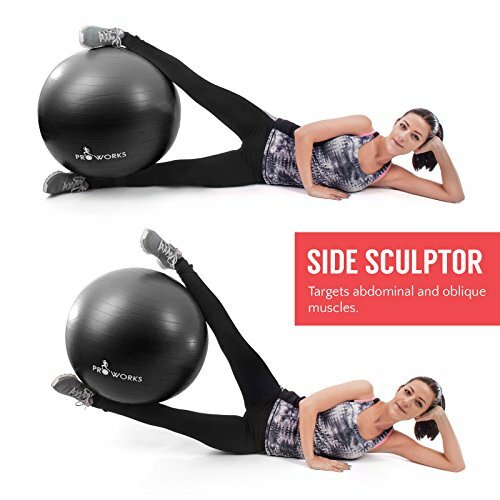 Made out of durable PVC, the fitness ball has been made to withstand the test of time. It is also anti-burst, ensuring it will not pop even in the rare event of damage, but rather slowly deflate in order to avoid injury. 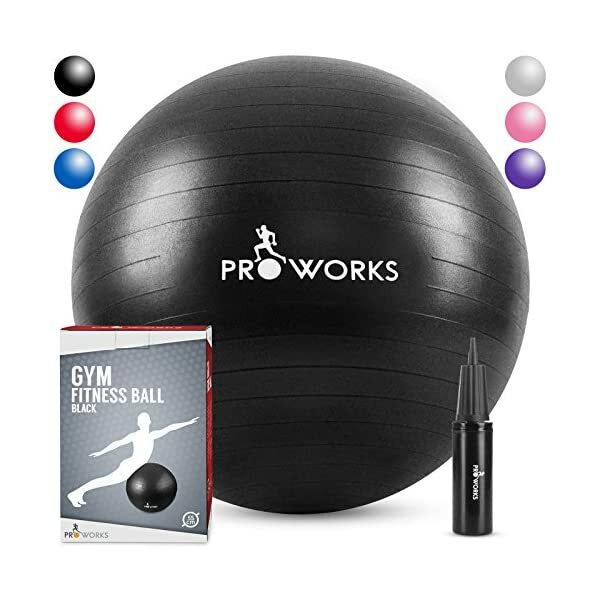 Providing innumerable health benefits in a lightweight, intuitive and easy-to-handle package, the rugged fitness ball from Proworks is the best option for anyone looking to get the most out of their home workout regime. 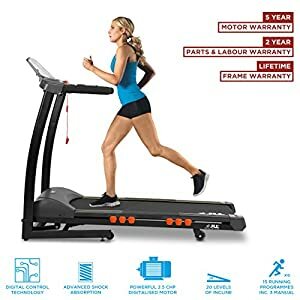 Do yourself and your health a favour, and purchase one for yourself today!